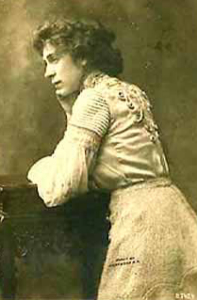 Russell, Annie (1864-1936) Dubbed the "Duse of the English-speaking stage" she was born in Liverpool, England but raised in Canada, this "frail, darkish woman with a slightly lugubrious face", she made her stage debut in 1872 in Montreal playing opposite the temperamental American actress Rose Eytinge in Miss Multon a play built on a French version of East Lynne. 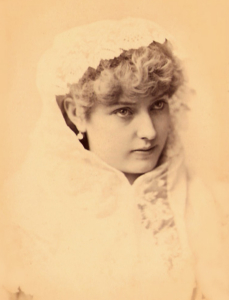 Her New York debut came in 1879 as Josephine in a juvenile traveling company of H.M.S. Pinafore. 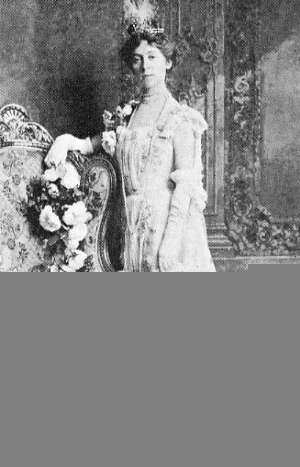 After that she toured all over North and South America as well as Australia. 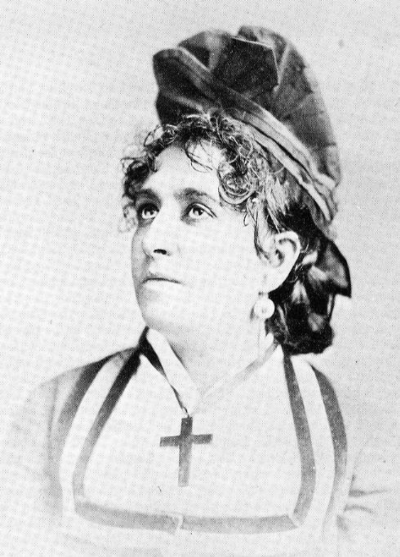 In 1881 she scored a huge success in New York with her brilliant portrayal of the girl whose newly rich parents would prevent her from making a love match in Esmeralda. 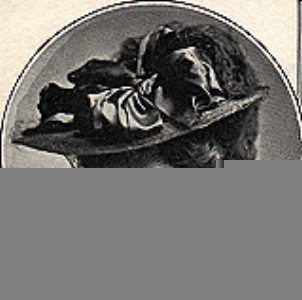 Due to illness she retired from the stage for three season but returned in 1894 and regained her popularity. 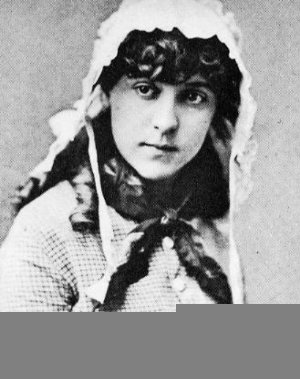 When she was thirty-two in 1896 she played the role of a girl who marries a man she does not love to escape the brutality of her father in Bret Harte’s Sue and the daughter of a kleptomaniac in Clyde Fitch’s The Girl and the Judge in 1901. 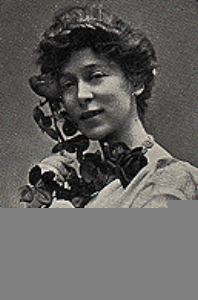 She first played London in 1898 and in 1905 created Shaw’s heroine in Major Barbara. 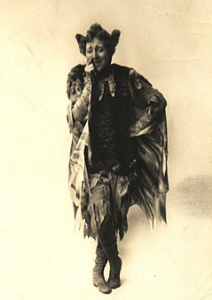 She gave memorable performances as Puck in A Midsummer Night’s Dream (1906), Viola in Twelfth Night (1909) and Beatrice in Much Ado About Nothing (1912). 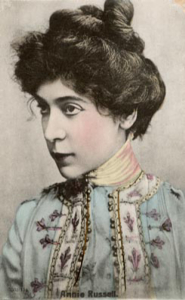 In her final active years she organized the Old English Comedy Company where she played such roles as Kate Hardcastle, Beatrice, Lydia Languish and Lady Teazle in School for Scandal. 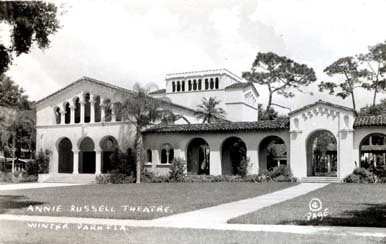 She retired in 1918 to head the dramatic program at Rollins College, Winter Park, FL where subsequently a theatre (The Annie Russell Theatre) was named in her honor. 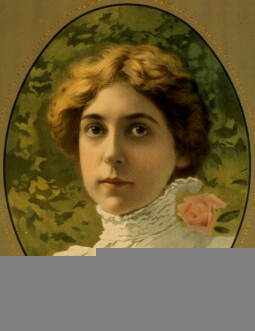 "And for bonnie Annie Russell ‘I would lay me down and dee,’ but that I fear being considered a plagiarist. 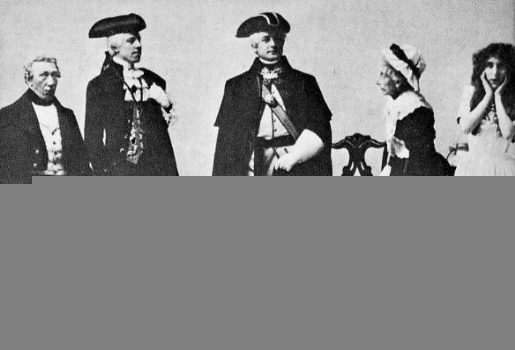 Nevertheless her eccentricity consists in making all her associates think it, even if their coward conscience prevents its utterance. 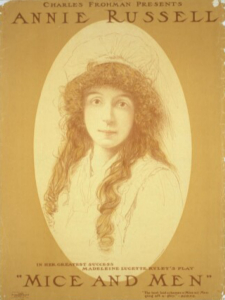 Yet she is not all angelic, for practical jokes awaken in her a responsive chord not in the repertoire of cherubs. "In the second act of Sue she mixes a cocktail for the edification of the sheriff and his constable; one night someone substituted a bottle of dandelion bitters for the sweetened water. Being forced to take it first she realized that something was wrong, and simultaneously entered into the spirit of the joke, and put an extra dose in the sheriff’s glass. Making her exit in the most conventional manner, she joined the other members of the company and fiendishly watched the unfortunate sheriff quaff it off at a single draught. I was sitting on the edge of the wall; the sheriff looked at me and I tumbled backward, head foremost in."